There was once a time when Middlesex Street was called Petticoat Lane and the area was intensely poor. Times have changed and these days Middlesex Street is awash with restaurants and bars and the feeling is intensely well to do. 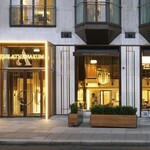 The London Steakhouse Company City sits proudly in the centre of all this looking very much at home here. Steakhouses on the whole, tend to all look pretty similar. I call it the New York look. 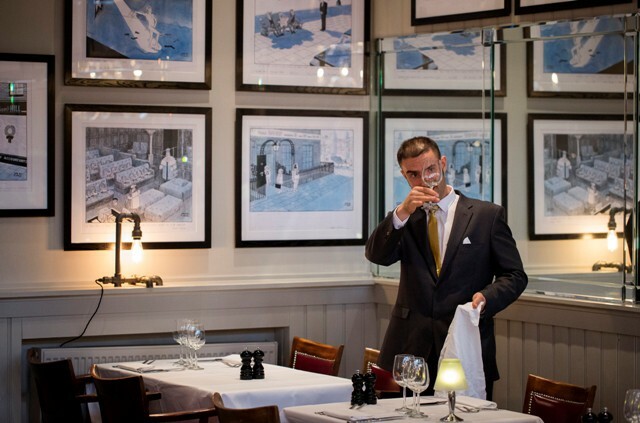 Wooden floors, waiters with starched aprons, a big long bar, high ceilings and stiff white tablecloths. They have precious little personality to set them apart from each other. So, with a steakhouse jointly owned by Marco Pierre White and James Ogilvie Robertson and recently refurbished, I have high hopes this will be somewhat more memorable. 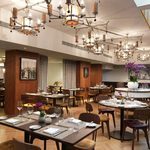 This is a big space, there is a big long bar and the waiters are bedecked in starched aprons, but thankfully there is personality all over the room. Made all the more entertaining by original cartoon artworks by famed political satirist Jak. And there is obvious quality here too. 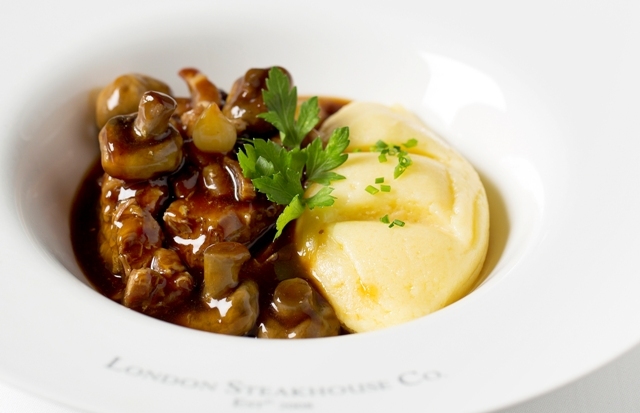 The London Steakhouse Company has a long-standing partnership with butcher Aubrey Allen and all steak cuts are dry-aged for 28 days and according to Marco Pierre White, each dish is prepared from scratch on site, every day. An added pleasant surprise was the use of Riedel glassware; the legendary Austrian glassmaker who has perfected the science of matching a wine to a glass shape to improve the taste. I am a convert by the way. And my excellent glass of Malbec (£12) keeps my Riedel flame burning bright. We kick off with a generous bowl of watercress and pea soup for Mrs. M (£7) while I am seduced by waiter Alex’s description of the special; “beetroot and goat cheese with caramelised walnuts” (£9) You won’t be disappointed.” And I wasn’t. 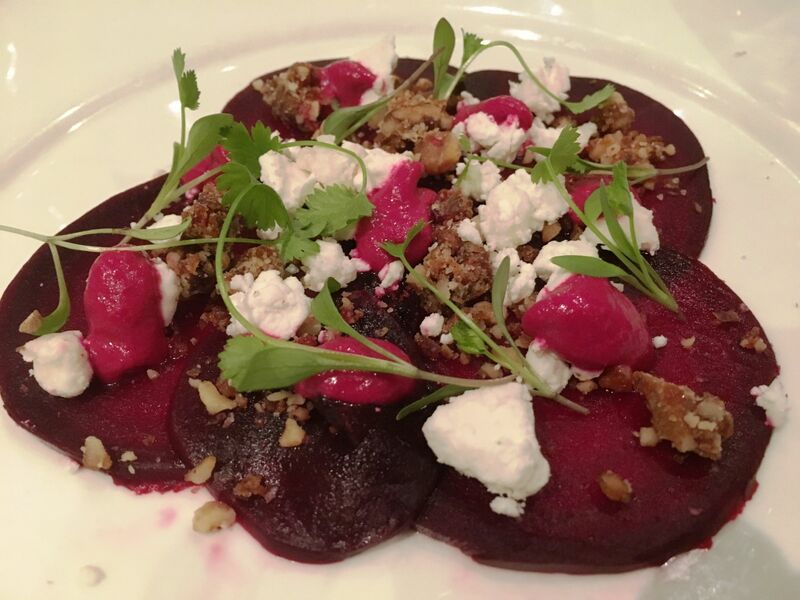 The whole dish was a delicious array of fresh flavours, if a little pricey as the main ingredient was essentially six very thin slices of beetroot. There are some interesting alternatives including ; a kipper pate with whiskey (£8) crab salad with red apple and mint and lime (£9) and a Scottish smoked salmon plate with crème fraîche and blinis. The mains are difficult to choose. 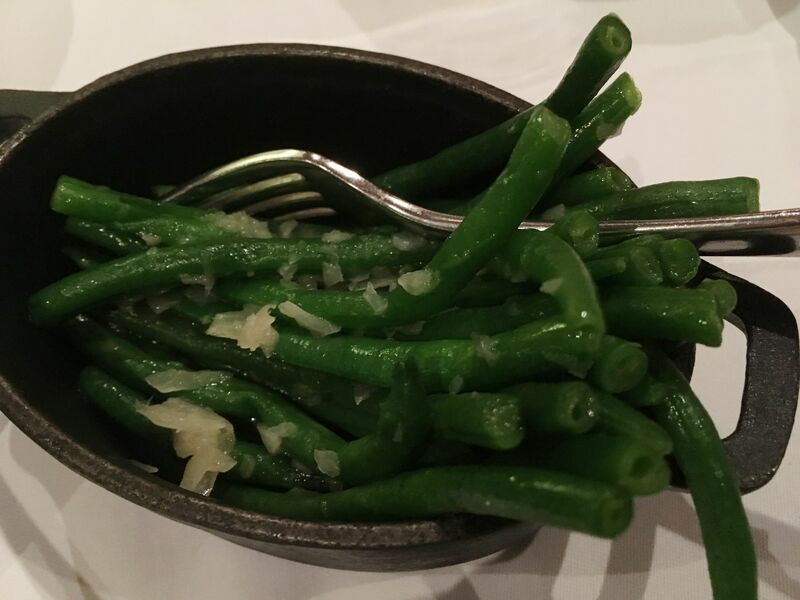 There are fish dishes, but frankly why come to a steakhouse if you don’t want steak. 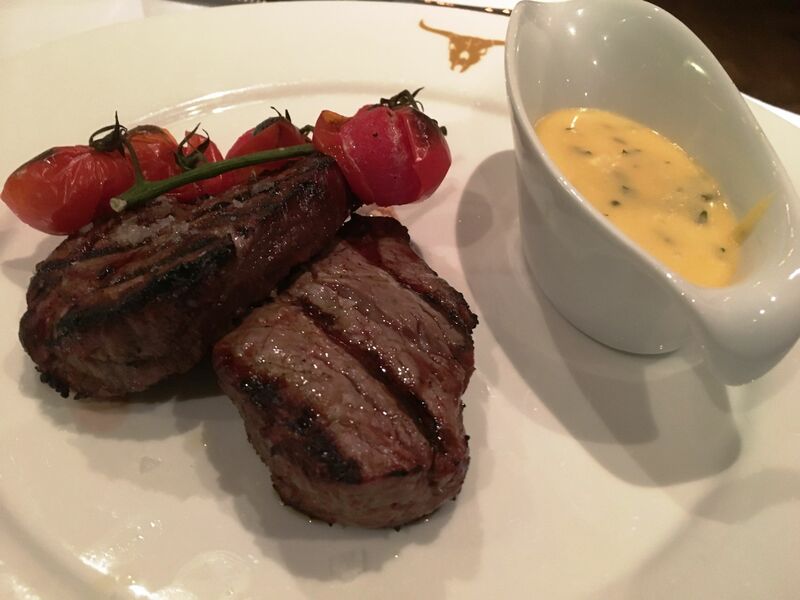 It’s just when you are faced with centre-cut, Boston chop, rib-eye, rump or sirloin it is all too tempting. Alex comes to the rescue once more skilfully guiding Mrs. M towards a 6oz centre cut fillet which comes with 2 medallions and roasted vine tomatoes (£28.50). Although I end up with prime rump Beef Wellington (£26.50) I just had to have tasting sample of the braised Boeuf Bourguignon and mash (£18.50) as I’m a sucker for slow roasted stews. It is, I am ashamed to say, well worth the gluttony. The Wellington is perfect. 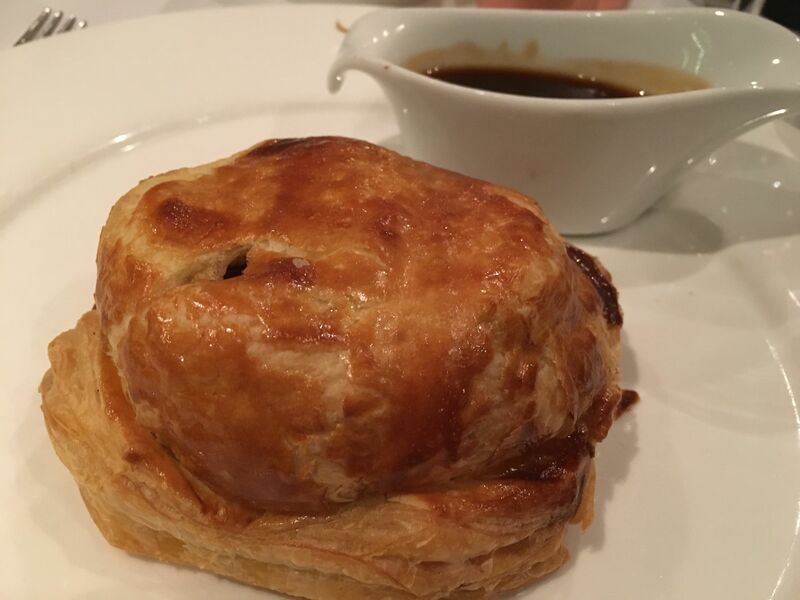 Delicate oven-fresh puff pastry and a delicious mushroom duxelle surrounding the succulent rump inside. 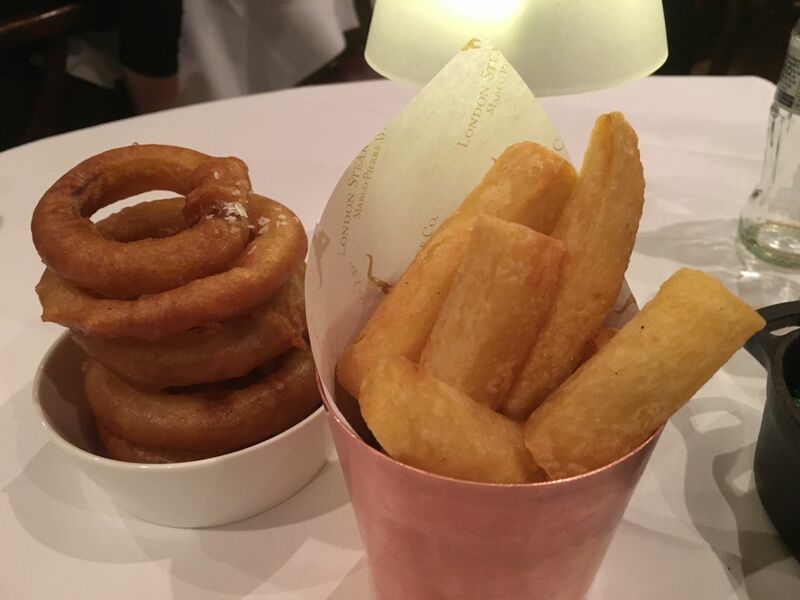 We share some generous crispy onion rings, thrice fried fat chips and crunchy green beans. (£4.75) Another pleasant surprise. 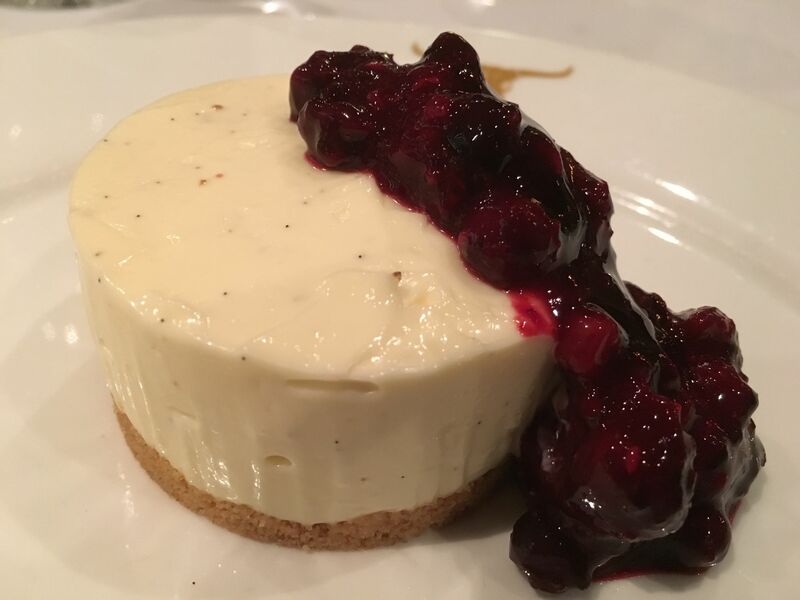 It is pushing my endurance to choose a pudding, although a second glass of Malbec revives me enough to go for the Vanilla Cheesecake with summer berries (£7.50) despite the serious attentions of a chocolate truffle cake and a sticky toffee pudding. The cheesecake doesn’t disappoint. Light, not too sweet with berries that are indeed summery. 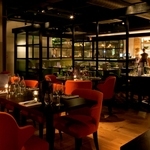 The London Steakhouse Company City gets a lot of ticks in the box from me. 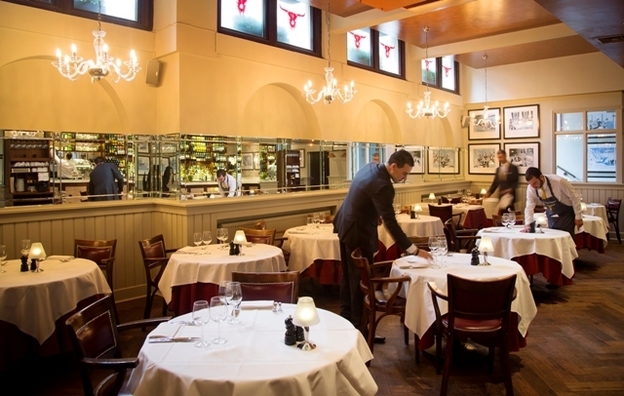 It is a triumph of excellent fare at moderate prices for a city restaurant. The service is a little too quick for my liking, but in fairness, it is a Friday night and jammed with diners, so better quick than slow! I think on reflection, Middlesex Street may well have been an important 19th century melting pot of traders and cultures but give me today’s visage any time.